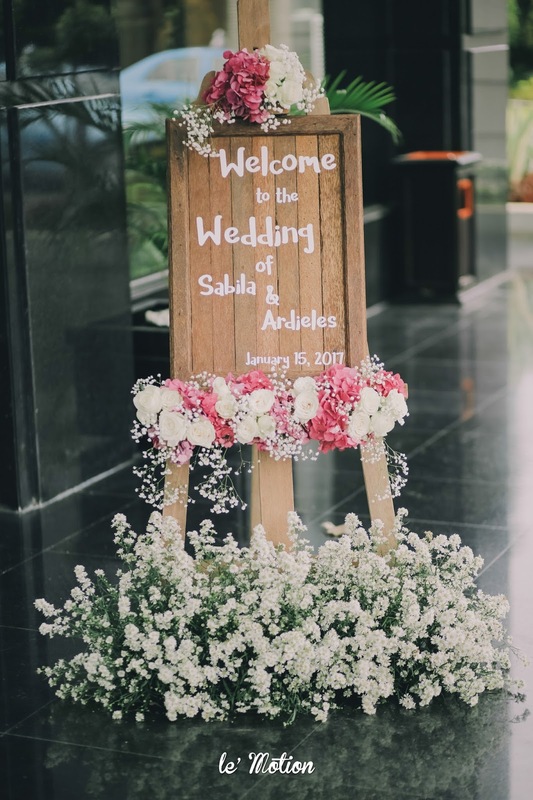 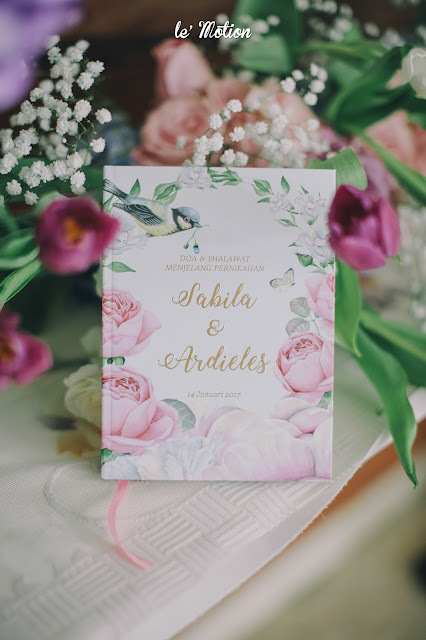 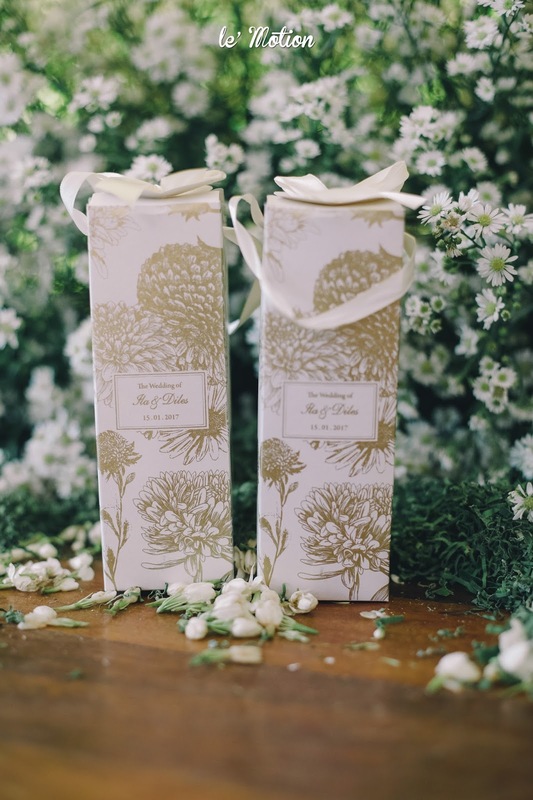 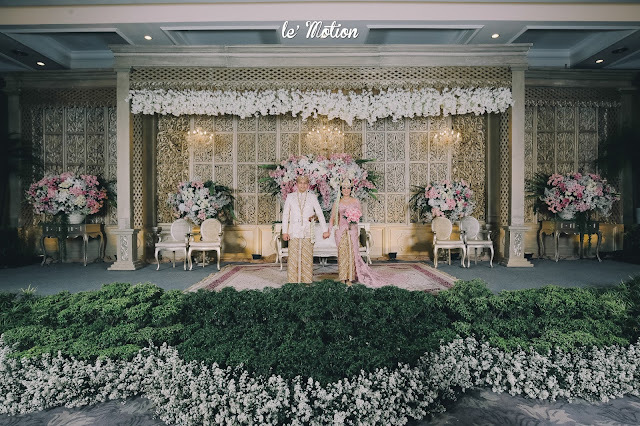 How fortunate were we, when Ila, a professional photographer & graphic designer herself, & Dieles contacted us and ask if we could be their wedding documentation team. 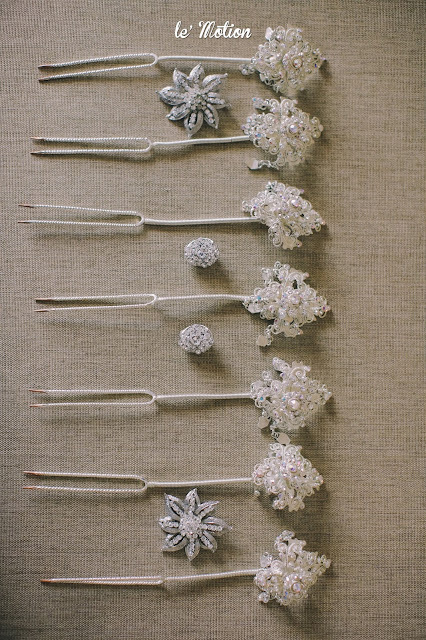 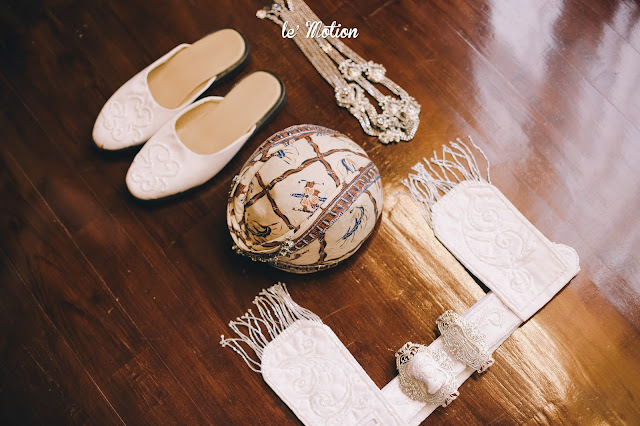 We are so thankful to have had the privilege of preserving all the treasured memories of their wedding day. 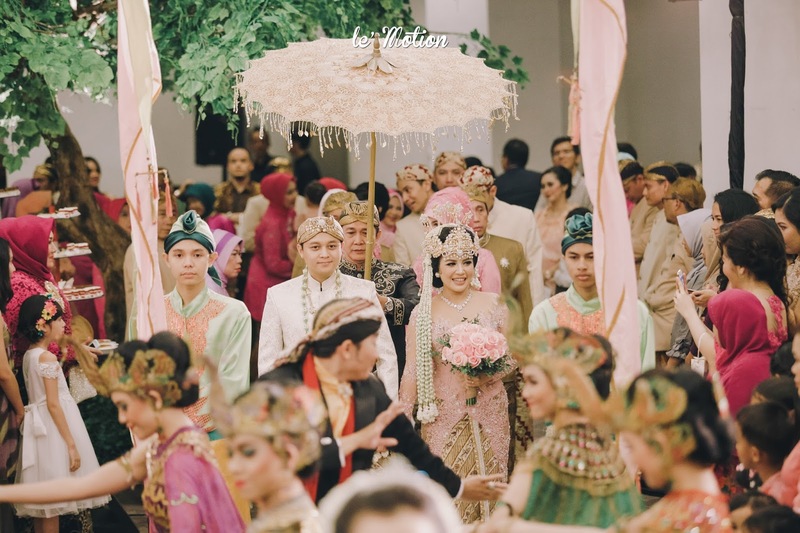 The entire processional order followed a Sundanese customs. 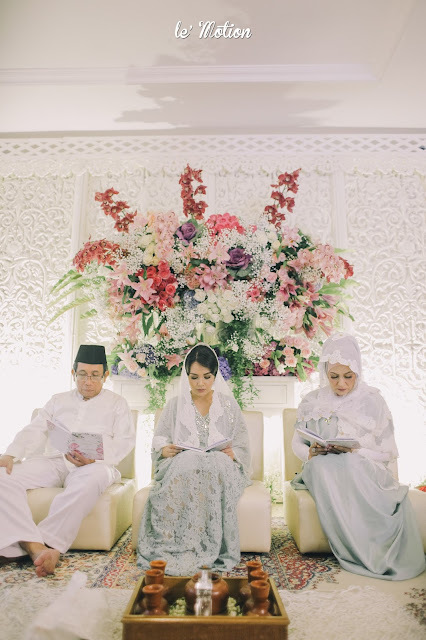 It started with reciting Holy Quran. 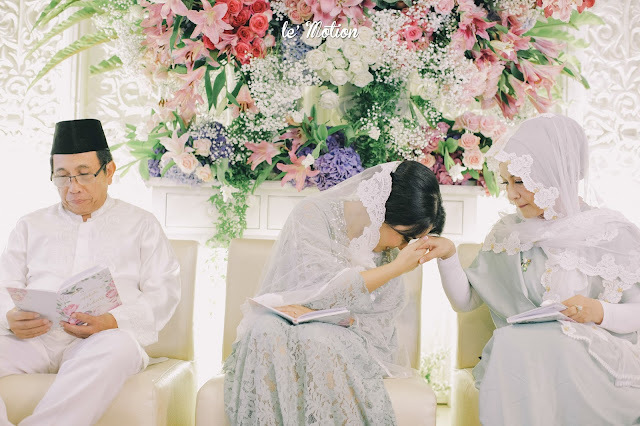 Both Ila & Dieles went through an emotional yet very touching moment as they asked for their parents' prayers & blessings for the wedding the next day. 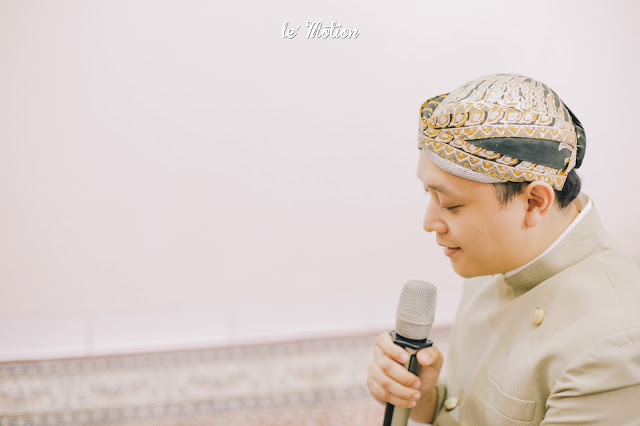 The Quran recitation was followed with Siraman. 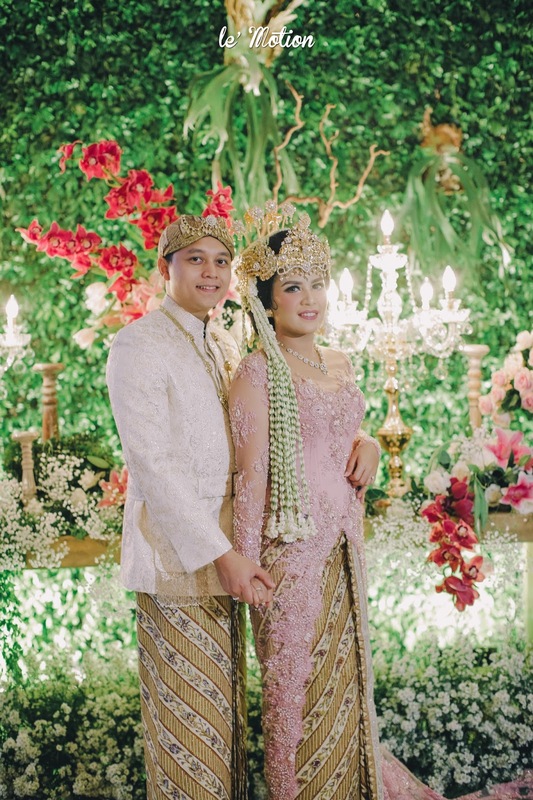 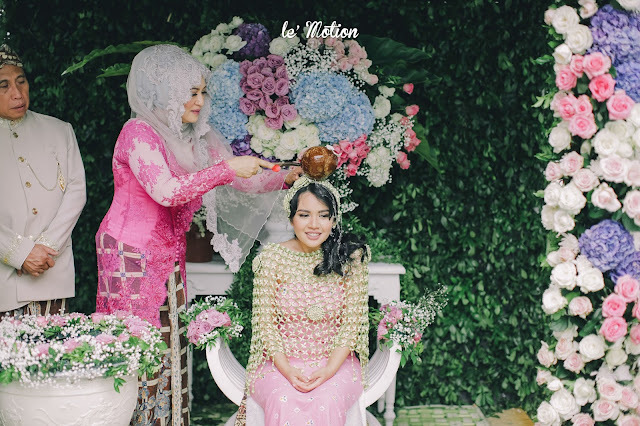 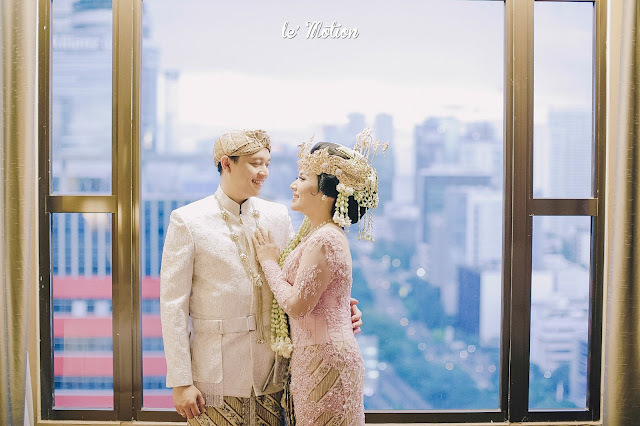 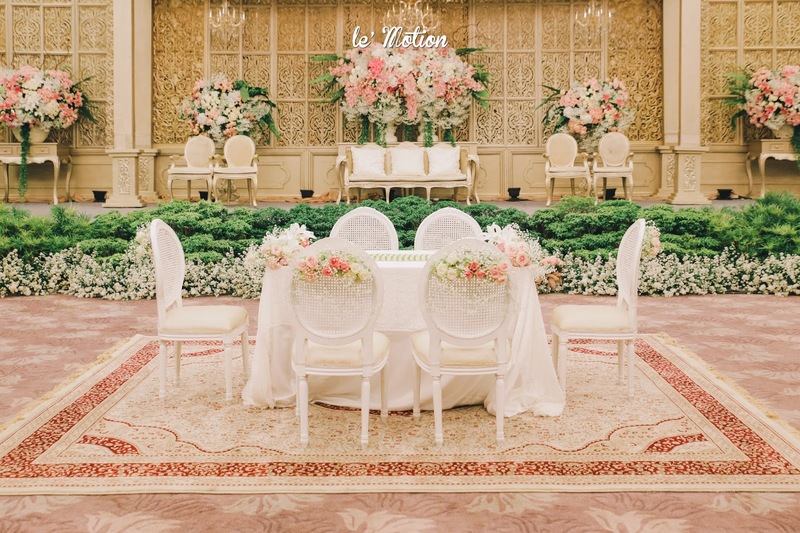 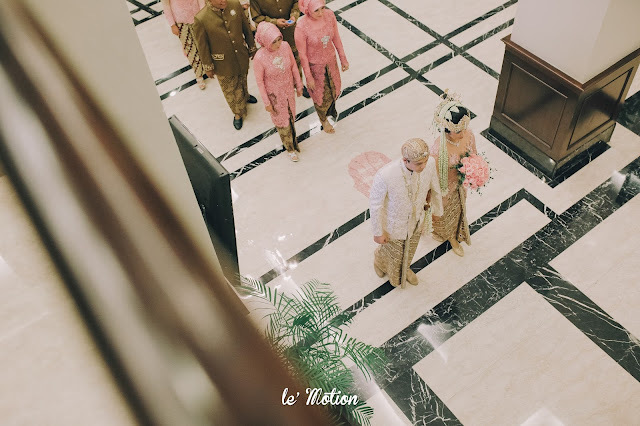 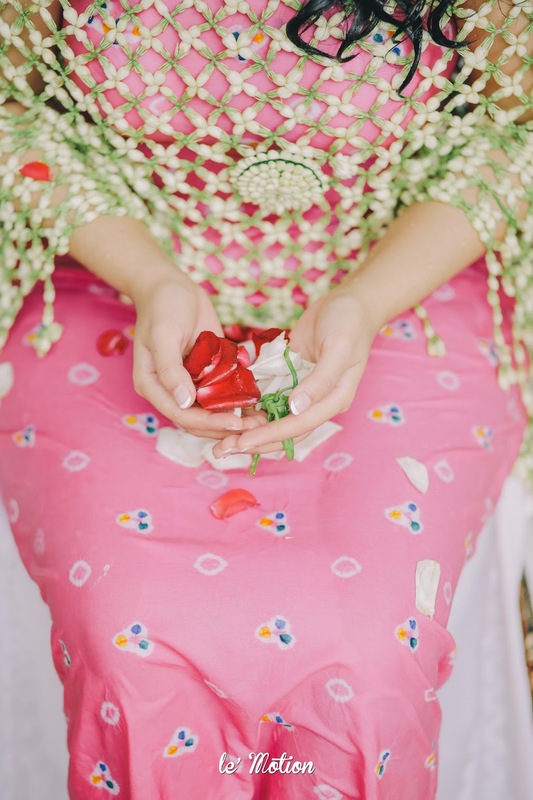 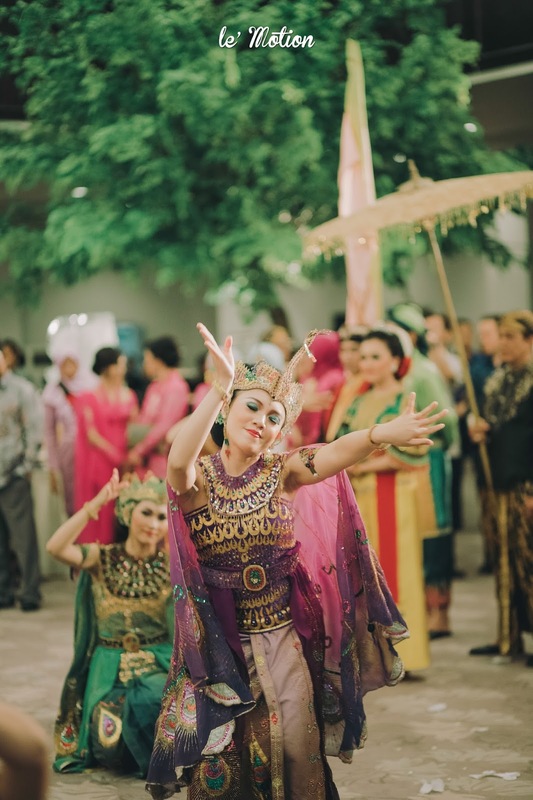 Ila was dressed in a flowery pastel pink Kebaya that harmonized perfectly with decoration created by Azka Anggun Art. 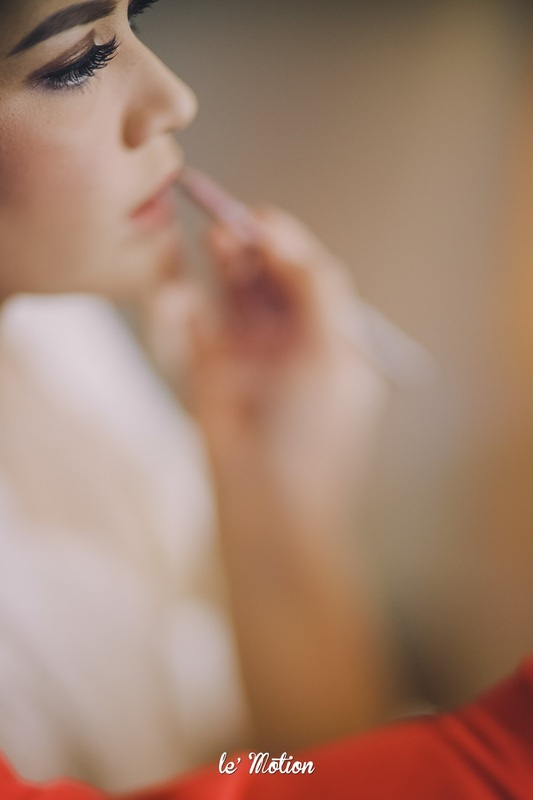 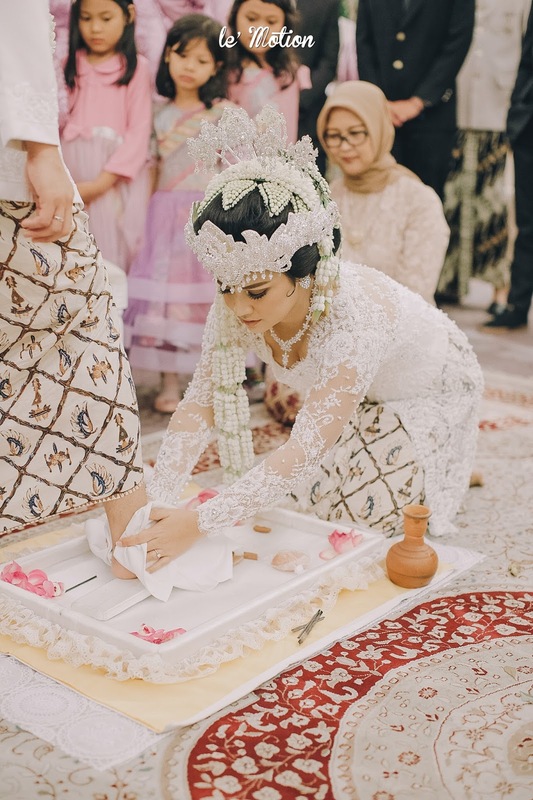 The last part of their pre-wedding rituals was Ngeuyeuk Seureuh. 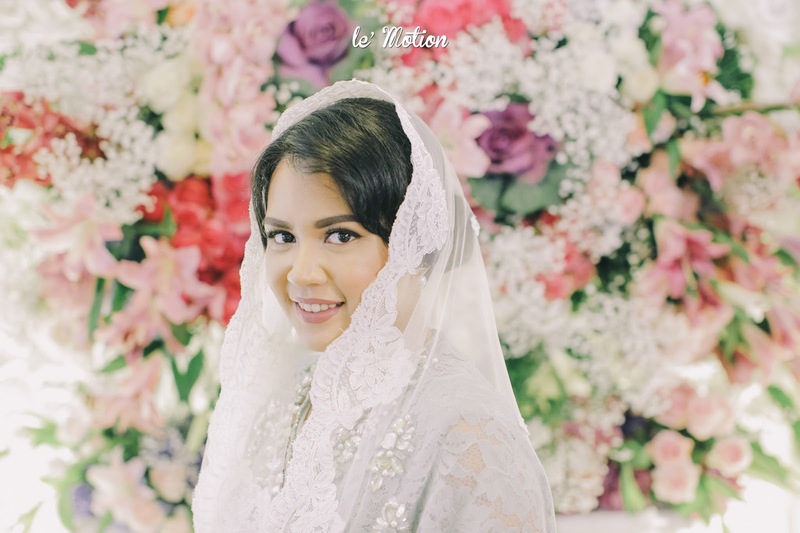 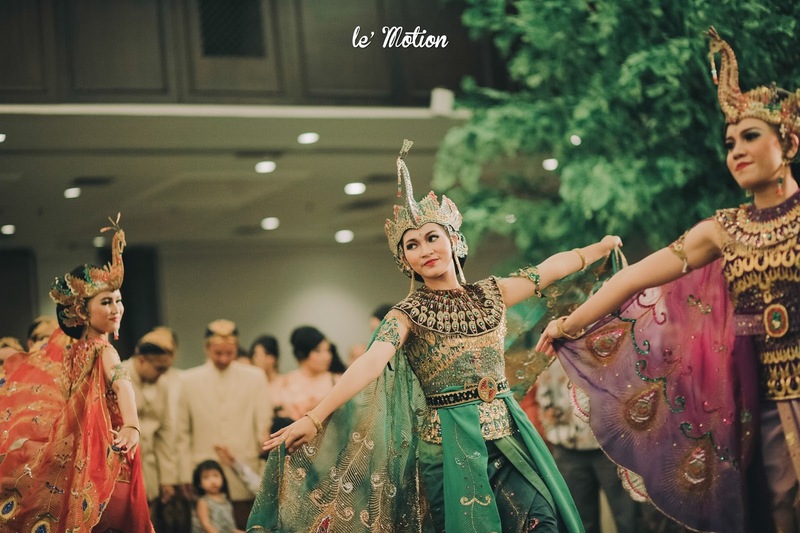 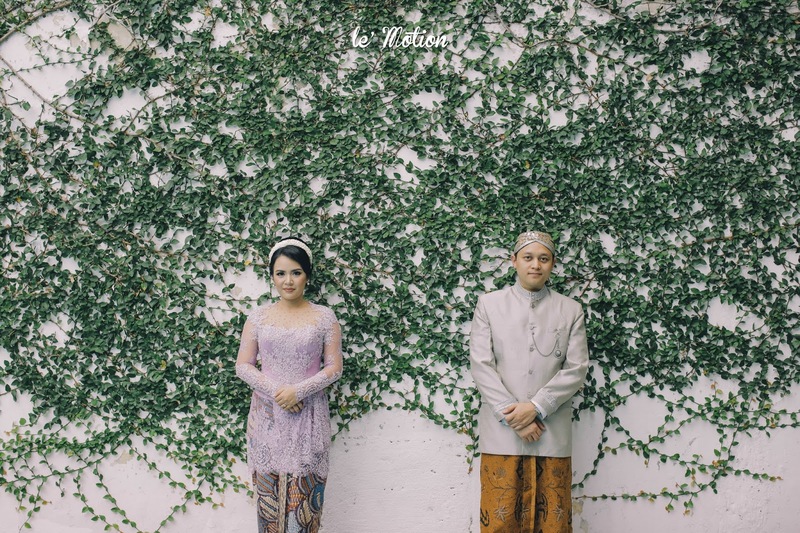 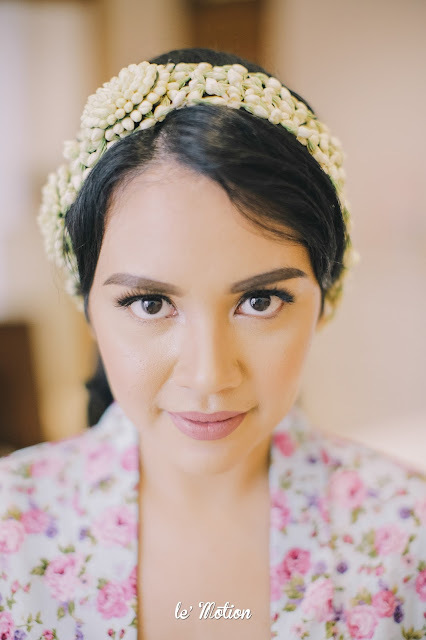 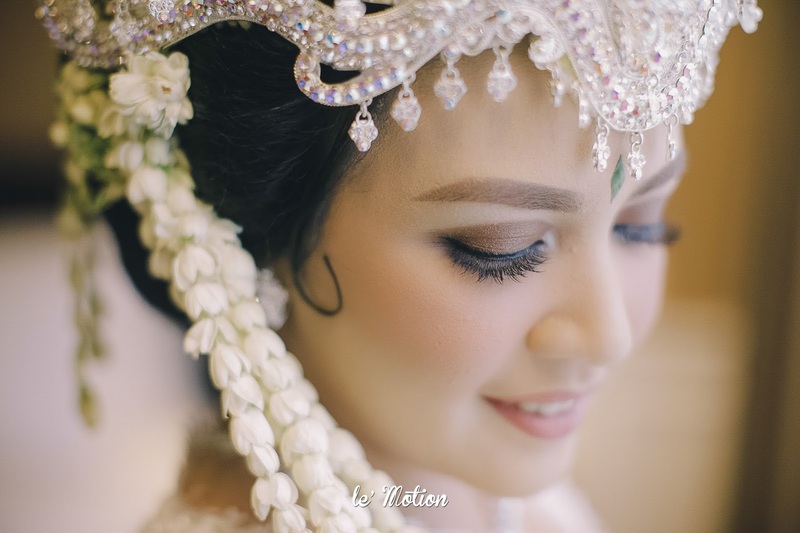 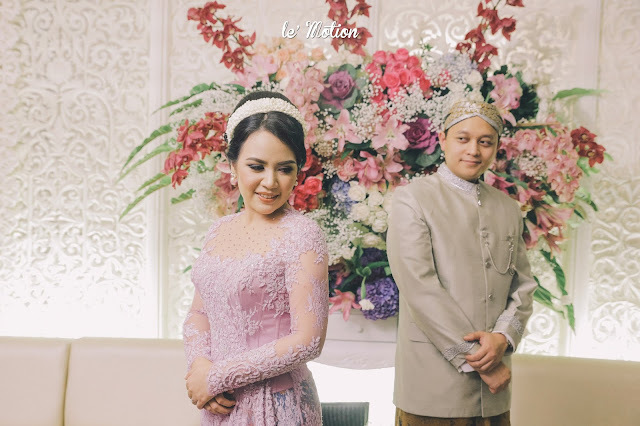 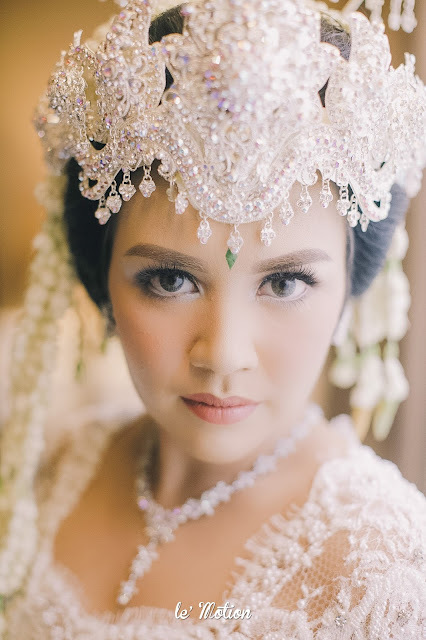 Ila was wrapped in a lilac Kebaya and Dieles wore grey Javanese Beskap. 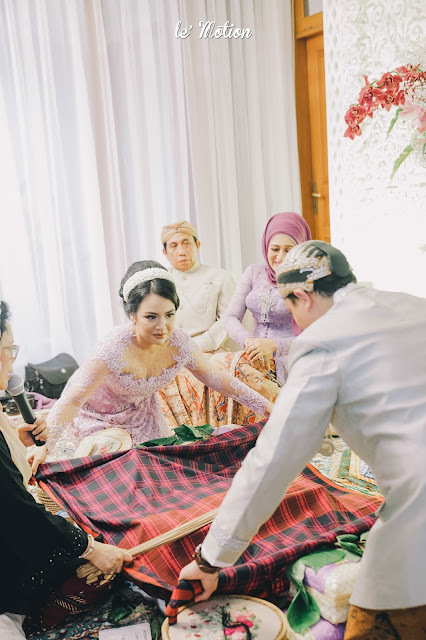 The ritual was led by Sanggar Ekayana as the enforcer of the custom. 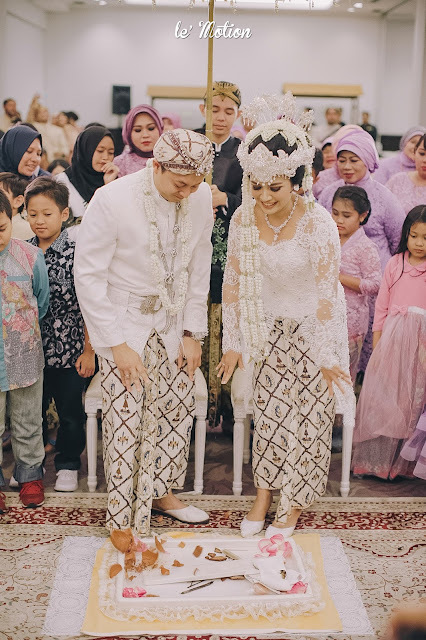 It went very lively and merry, like a fun short course for the bride and groom to prepare for their roles in the married life. Akad Nikah was up the next day. 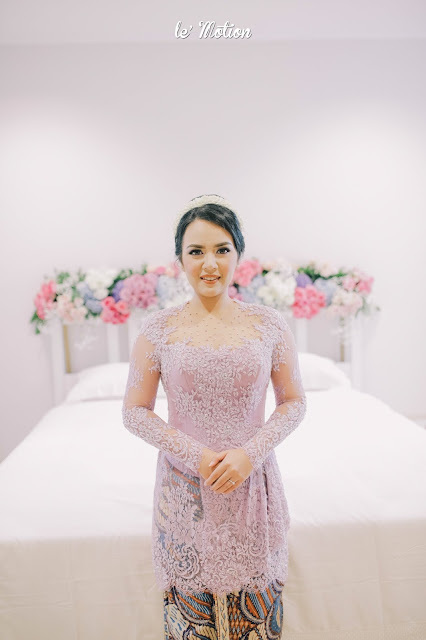 Ila looked stunning and seemed to have shed a few tears from the joy that day. 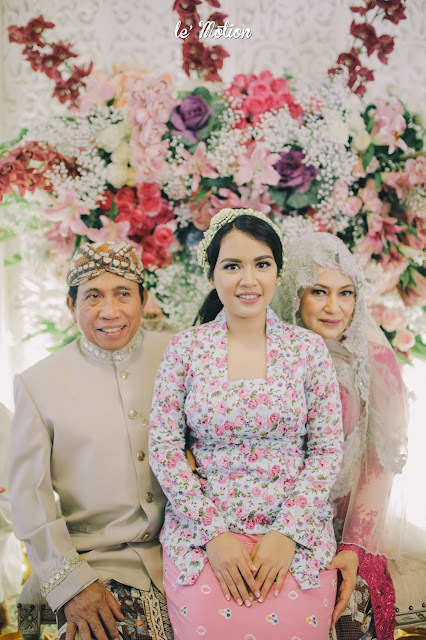 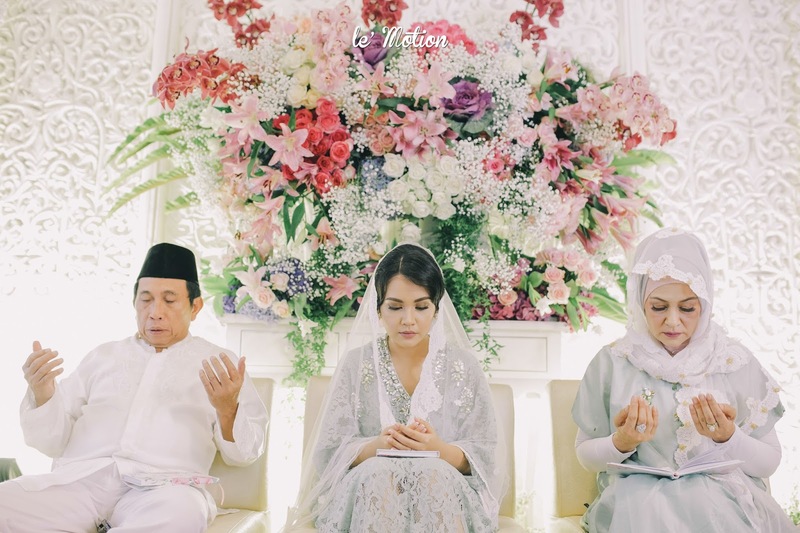 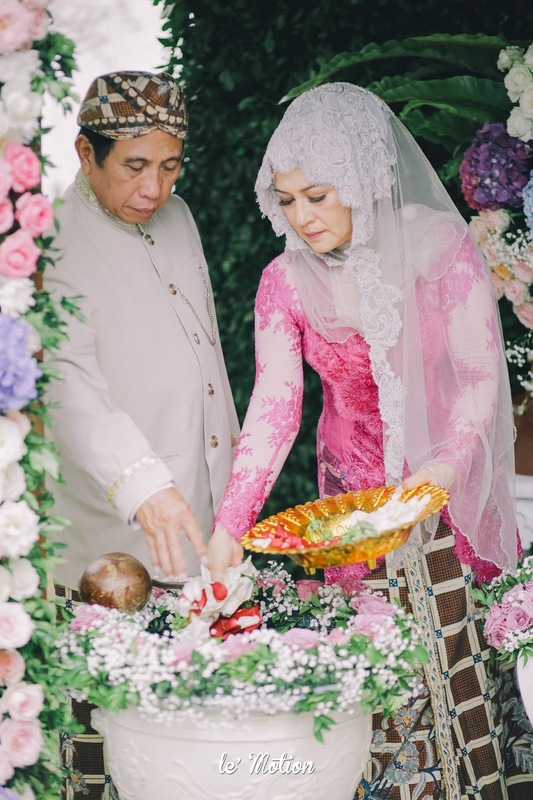 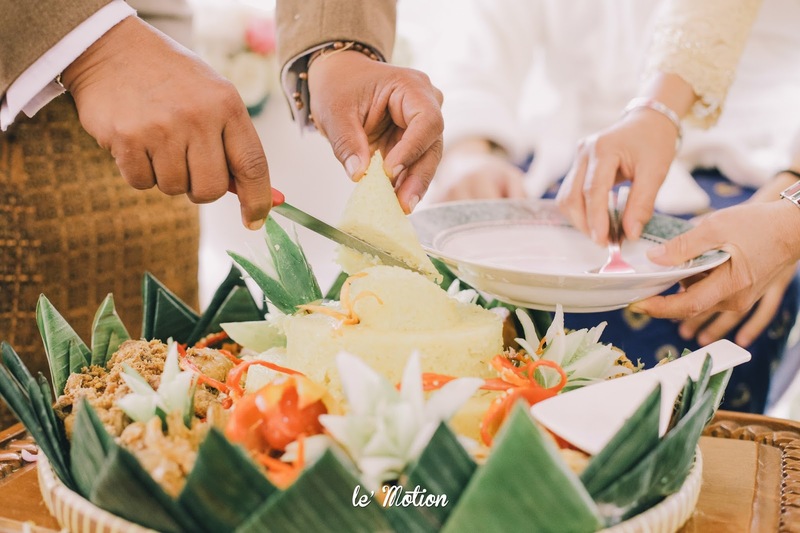 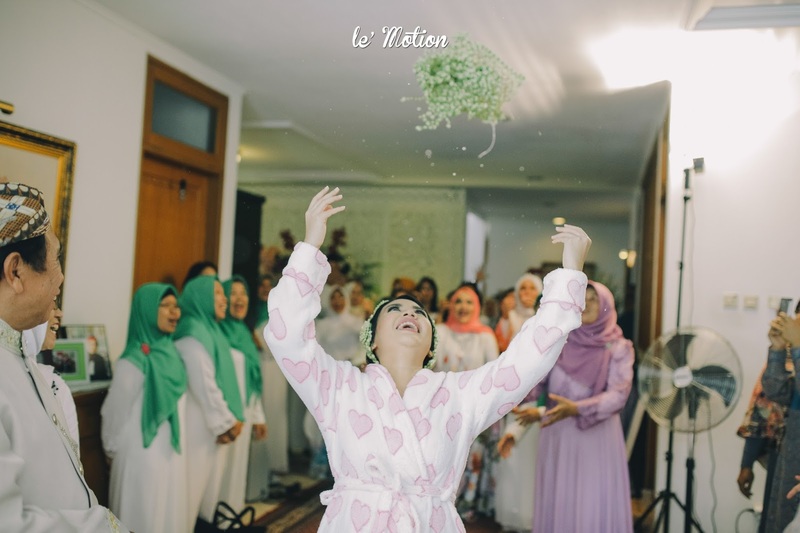 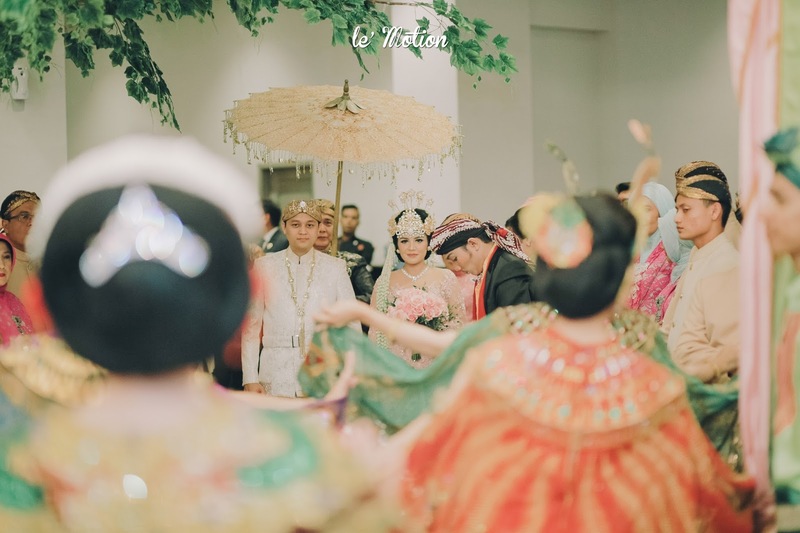 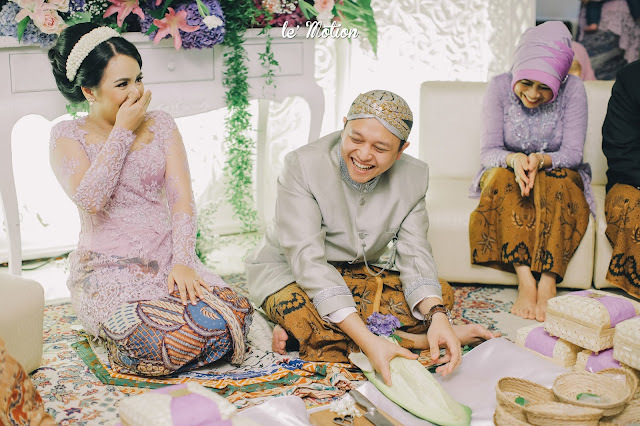 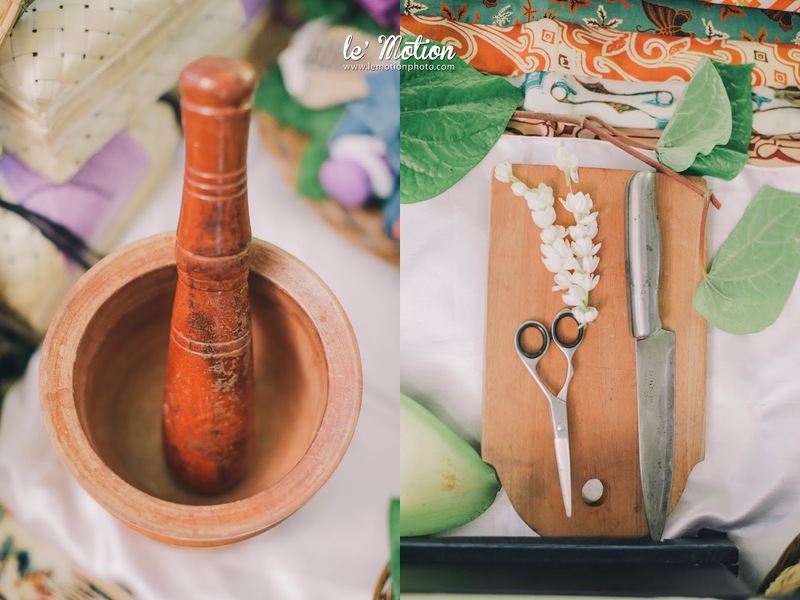 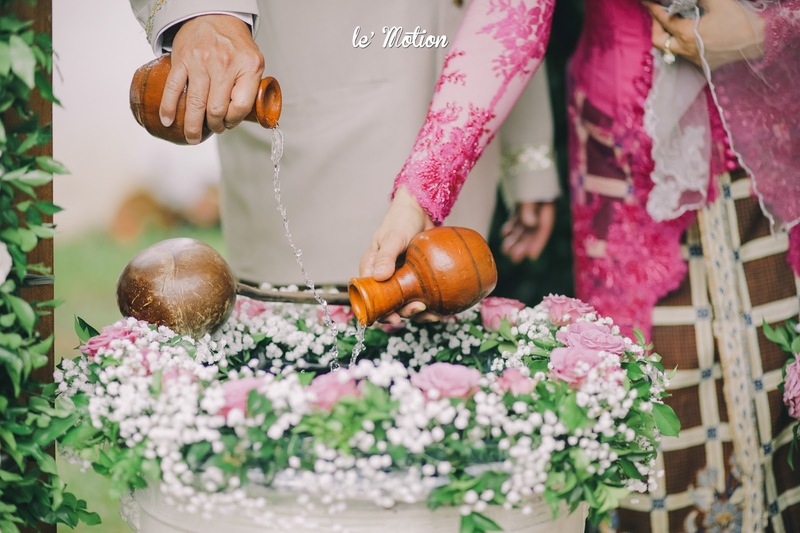 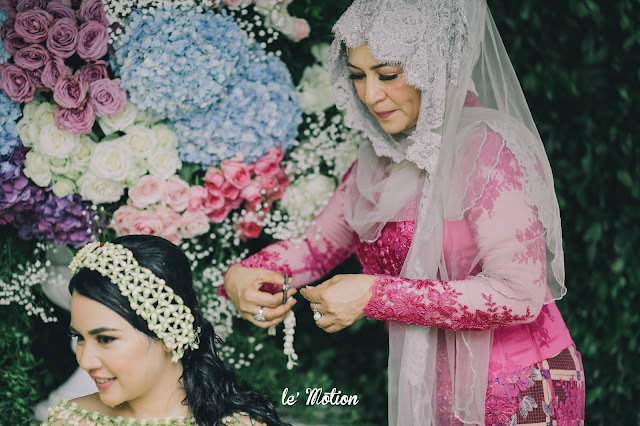 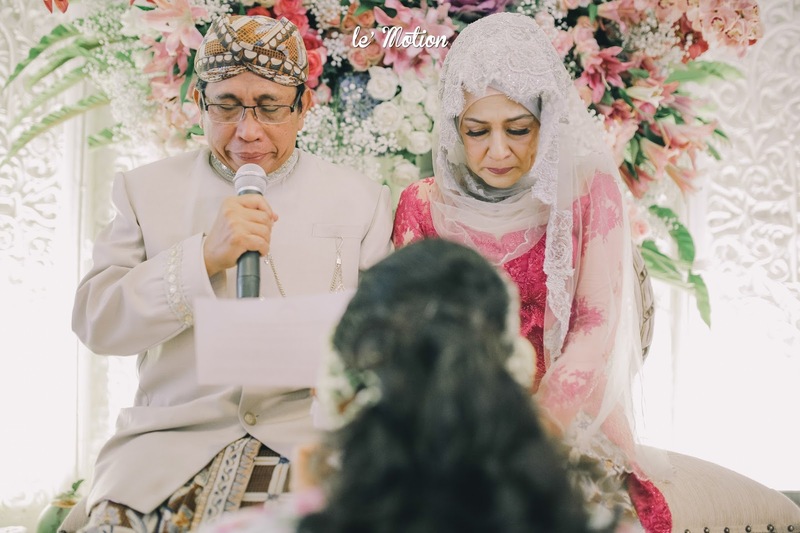 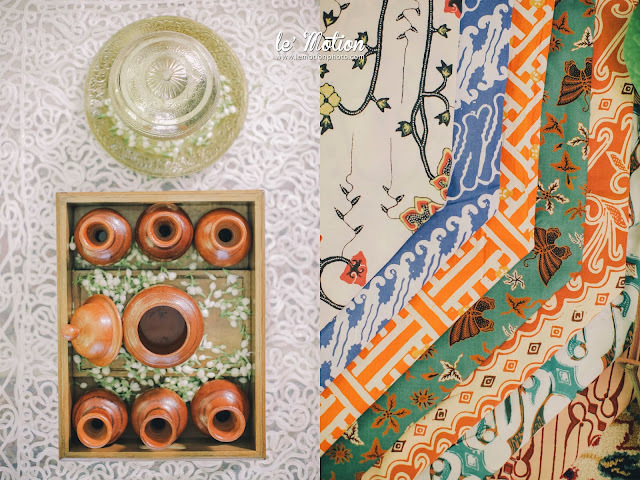 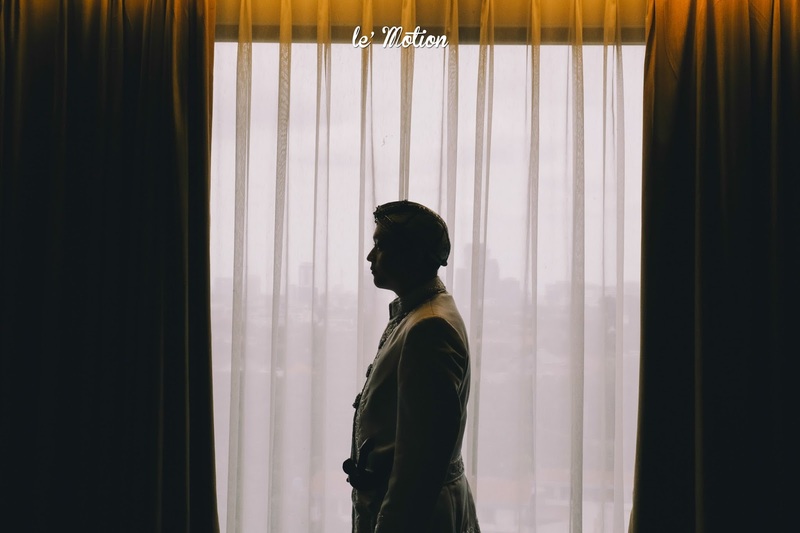 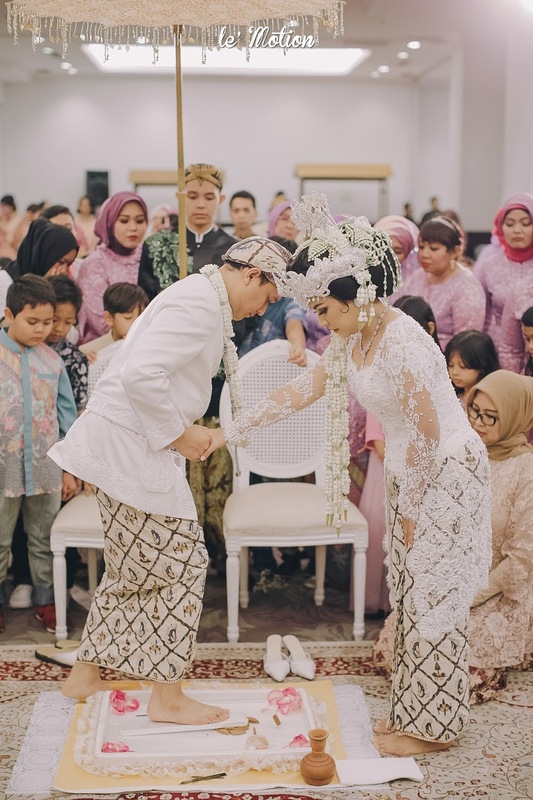 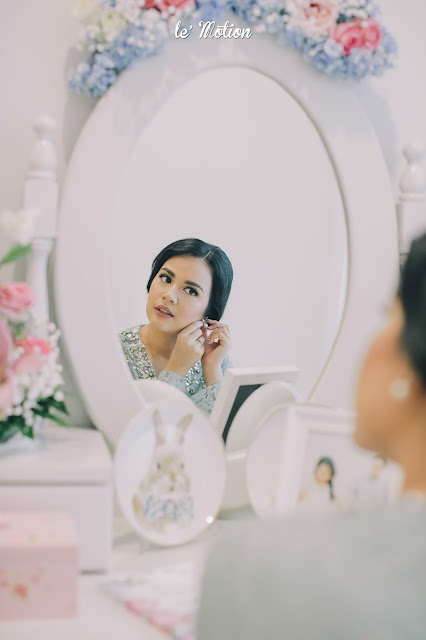 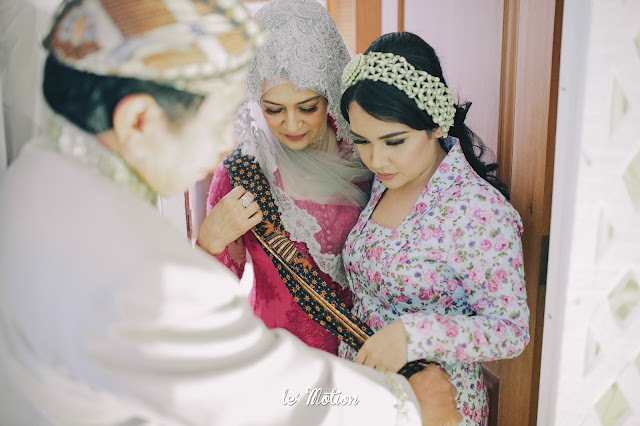 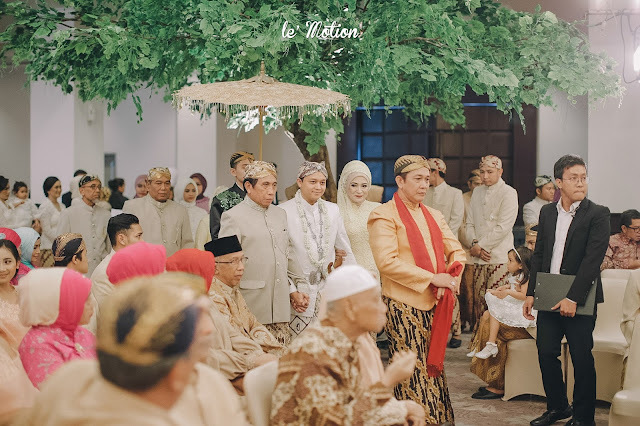 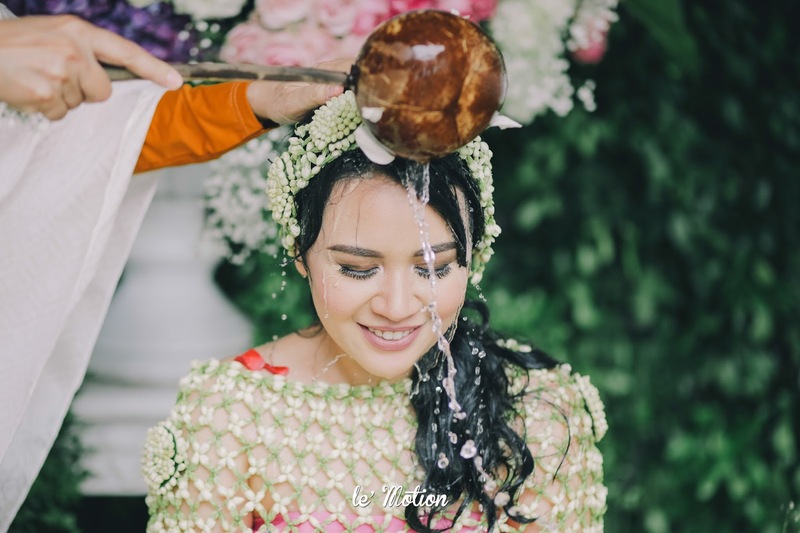 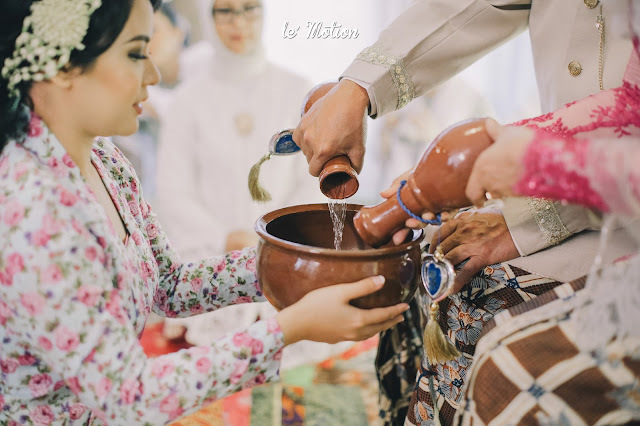 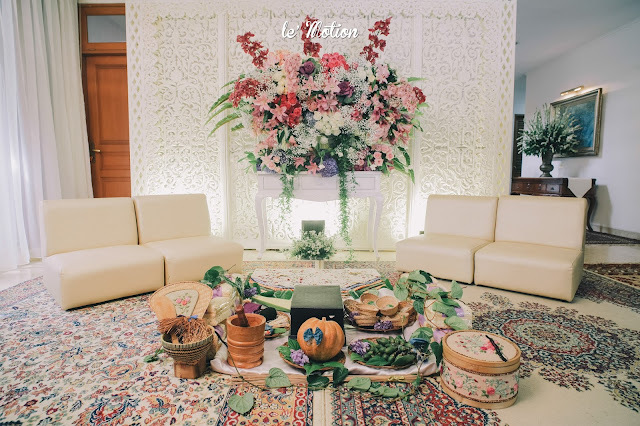 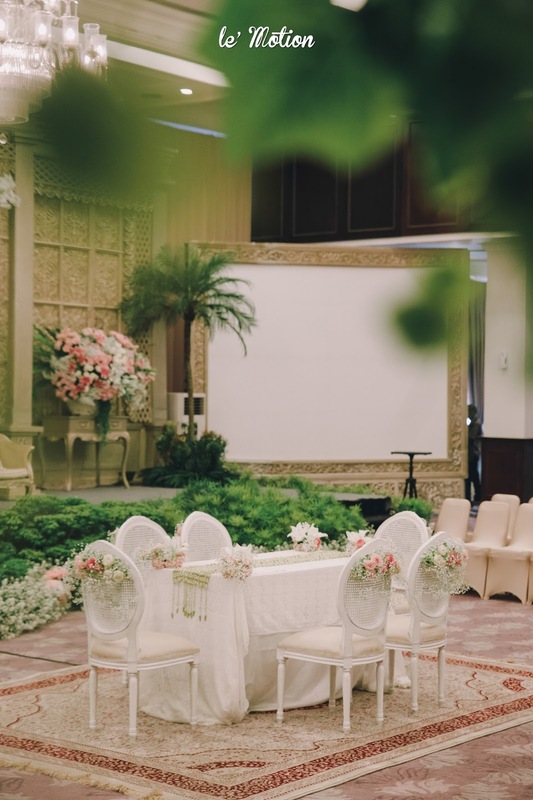 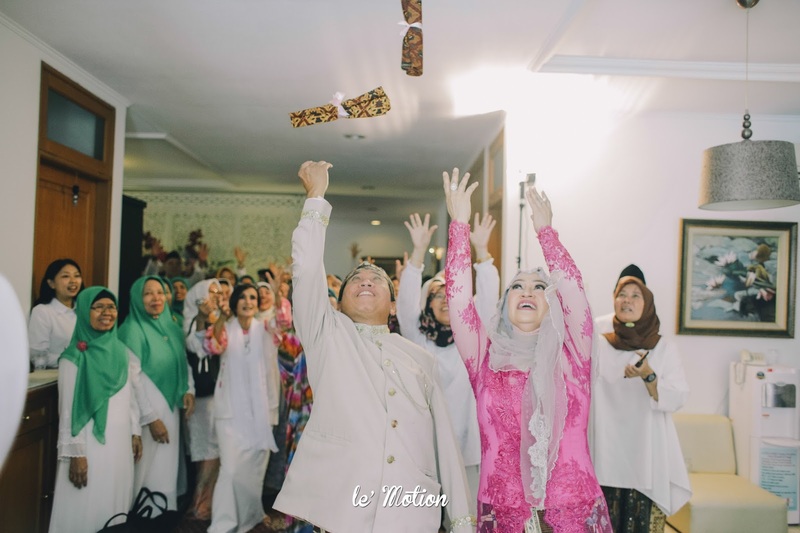 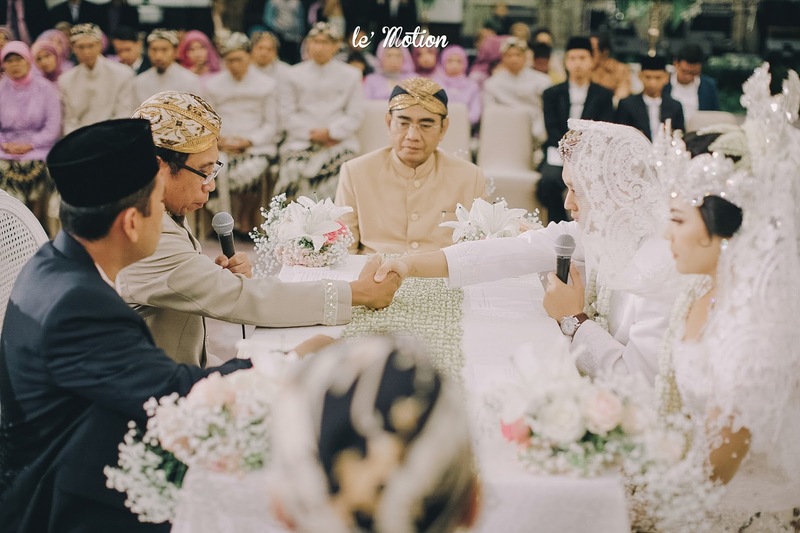 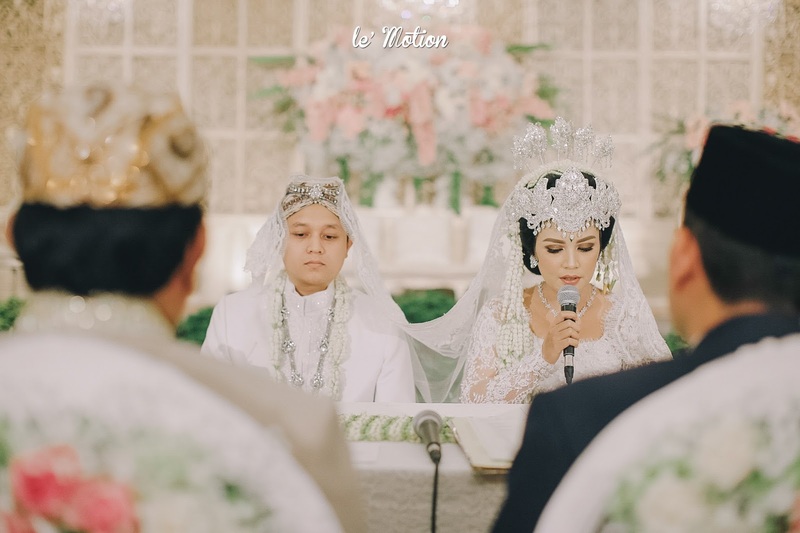 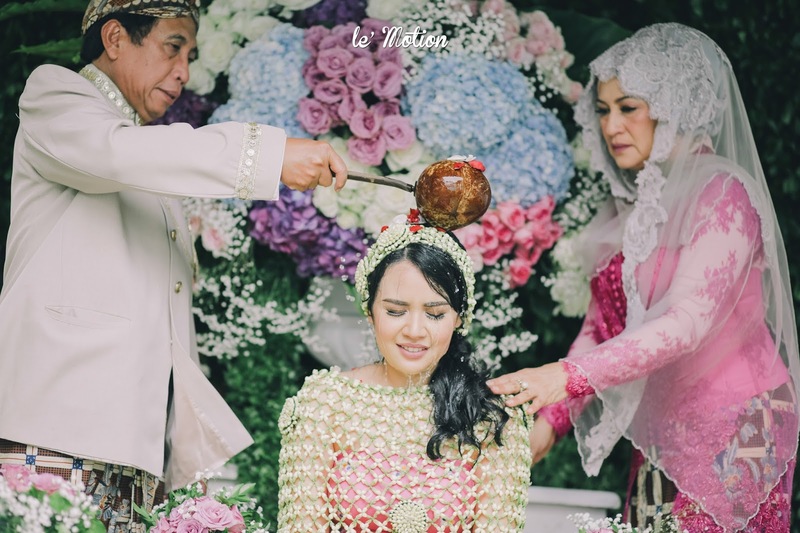 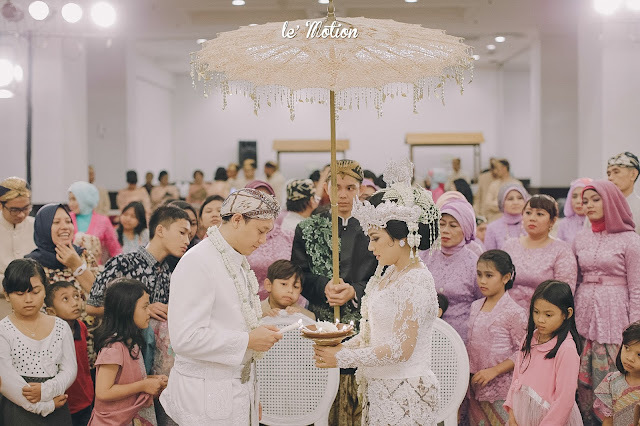 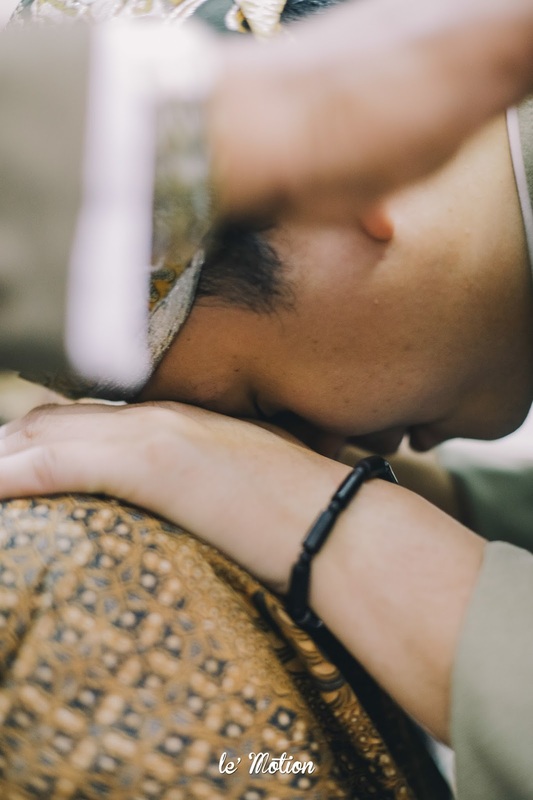 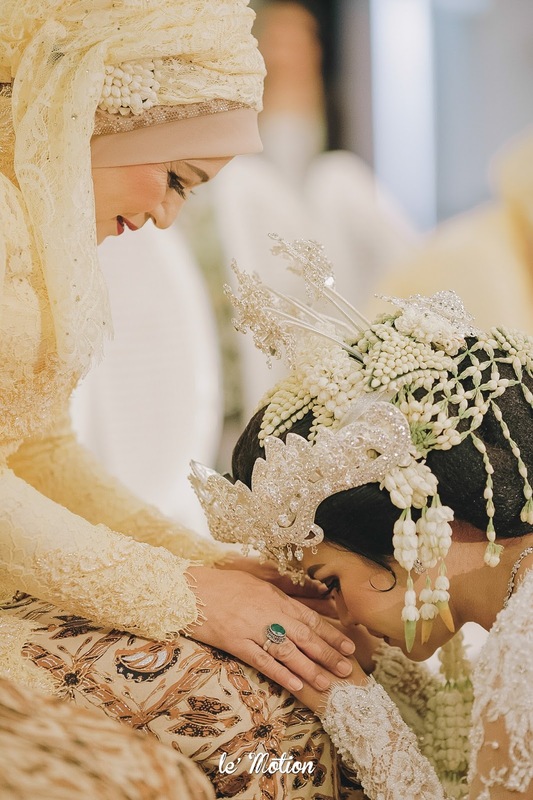 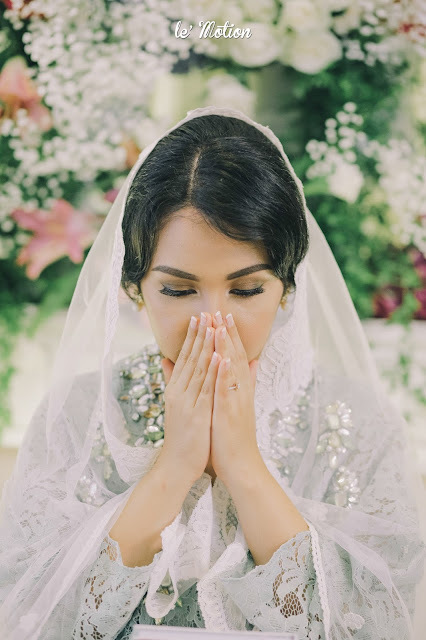 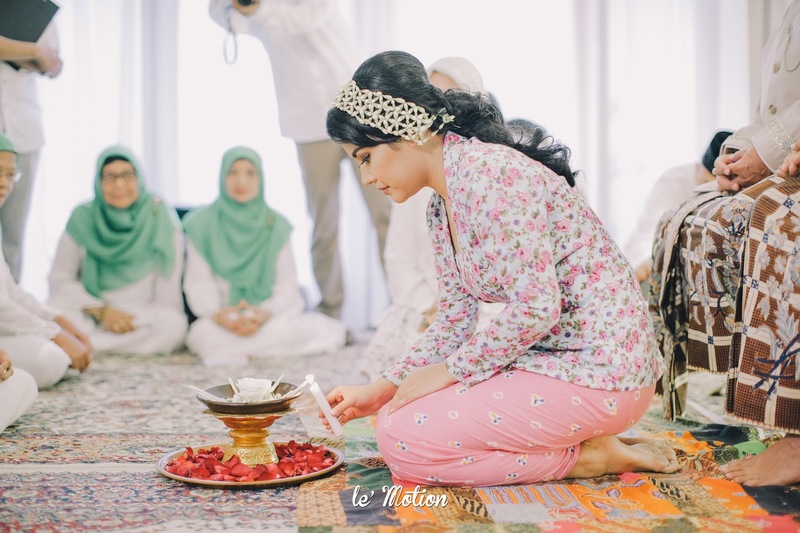 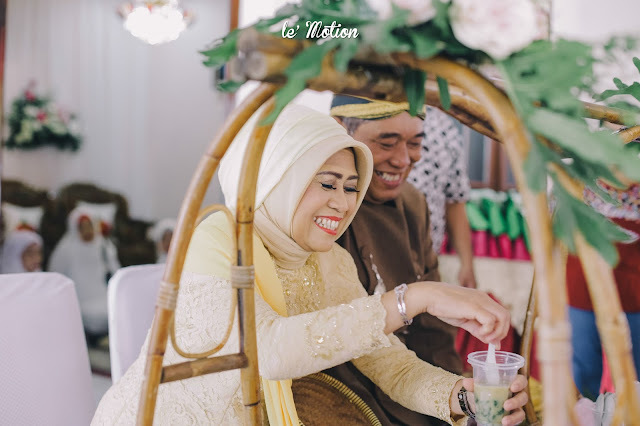 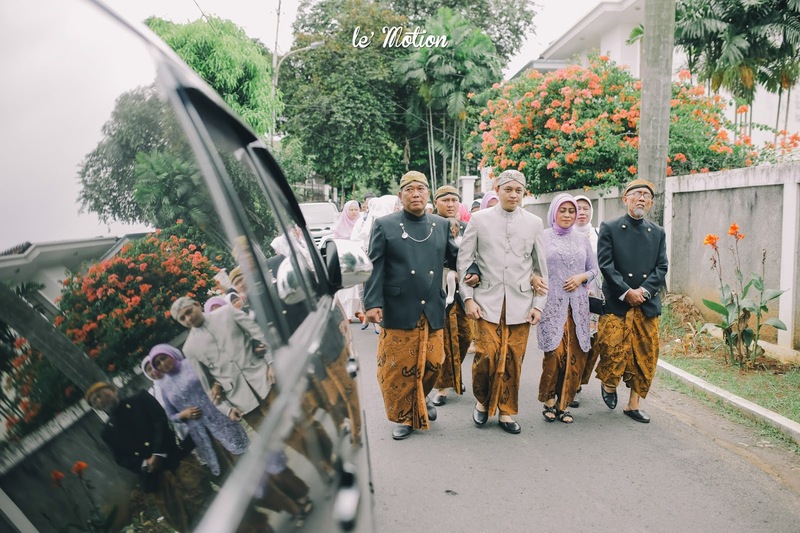 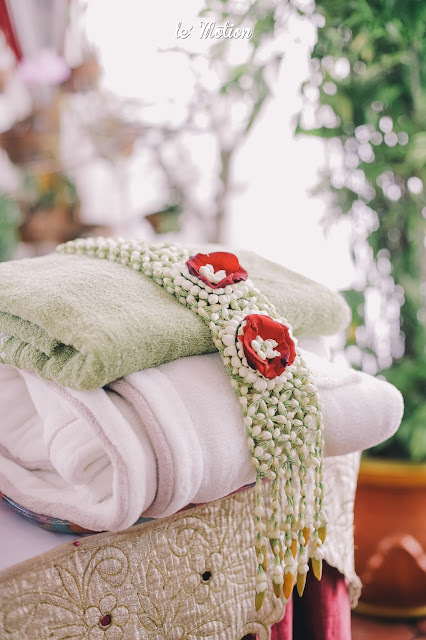 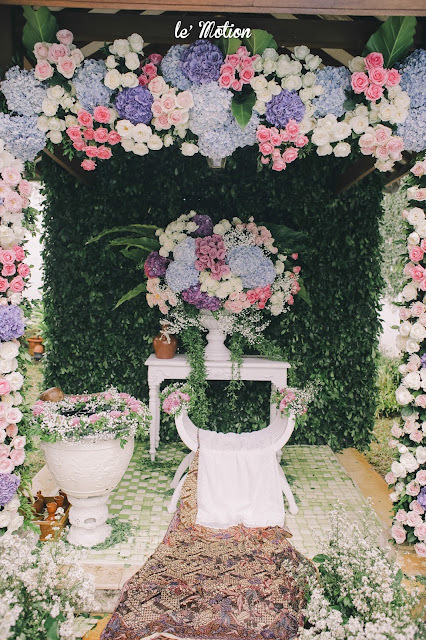 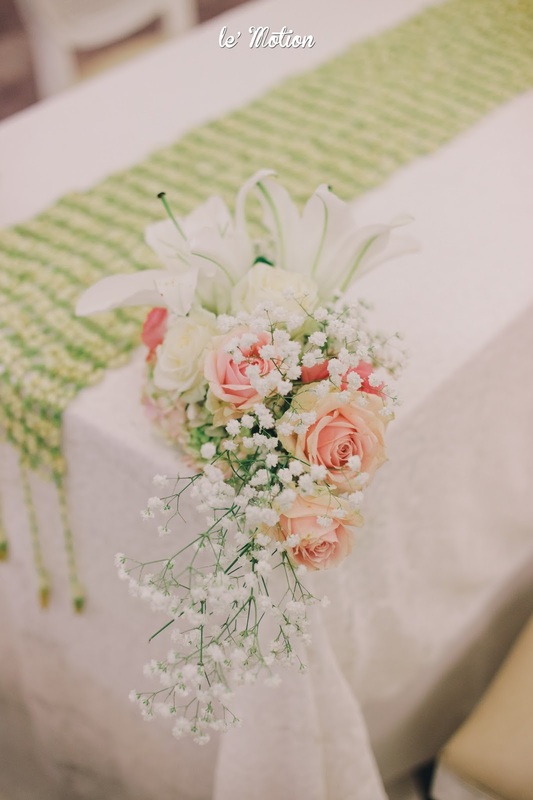 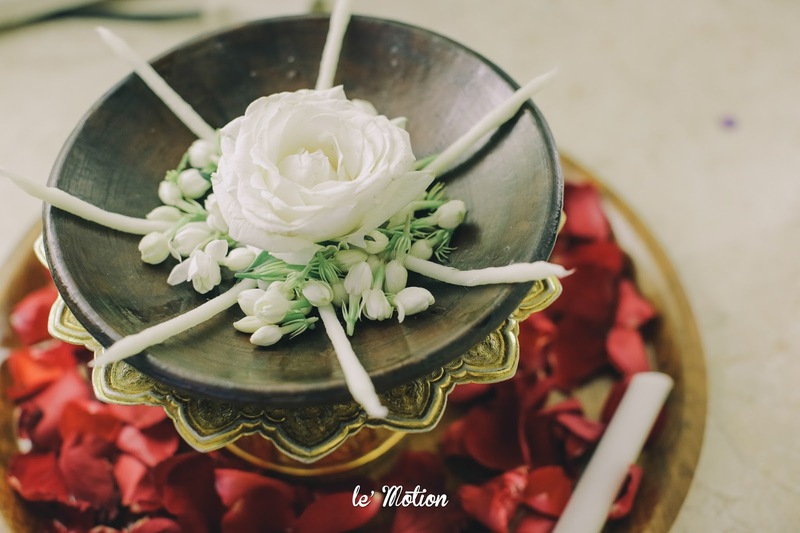 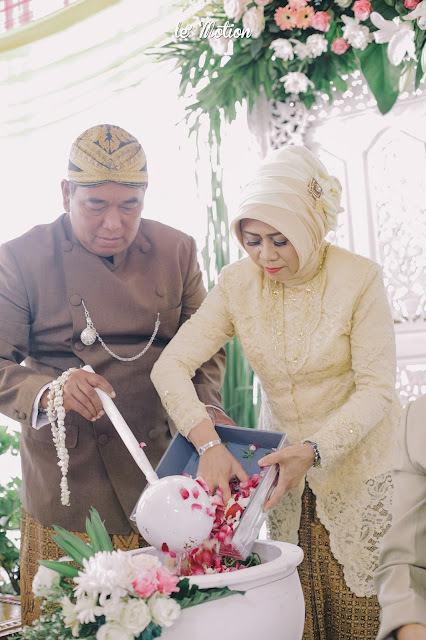 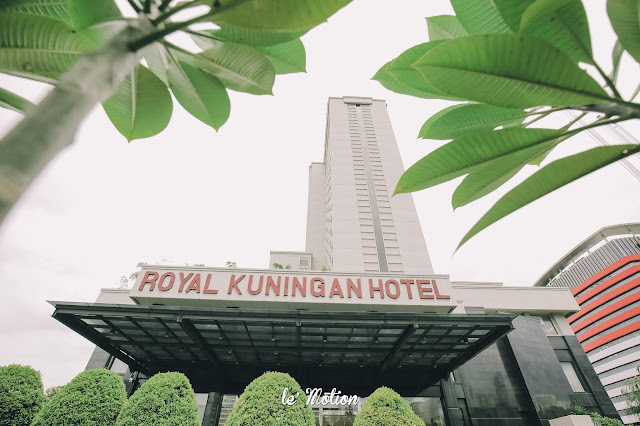 After the vows been made, few more post-wedding rituals took place, such as Meuleum Harupat (Membakar Harupat), Nincak Endog (Menginjak Telur), Huap Lingkung (Suapan), and Pabetot Bakakak (Menarik Ayam Bakar). 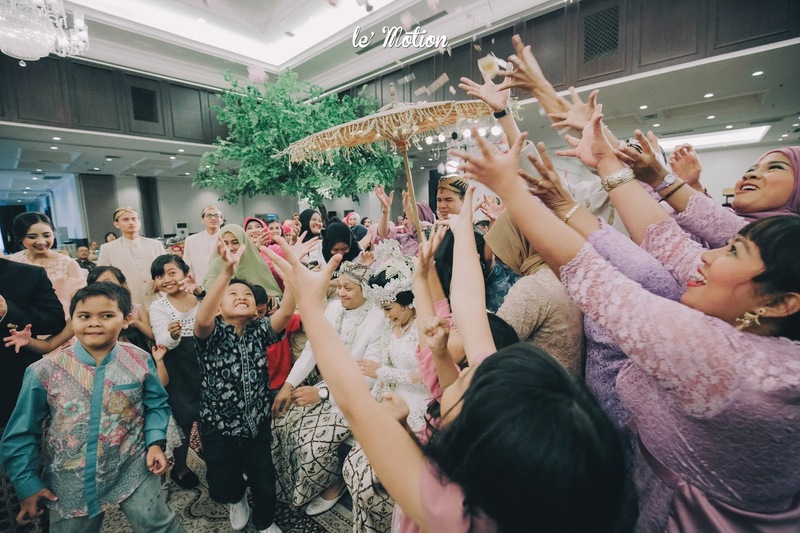 Finally, the reception went blast and undeniably cheery. 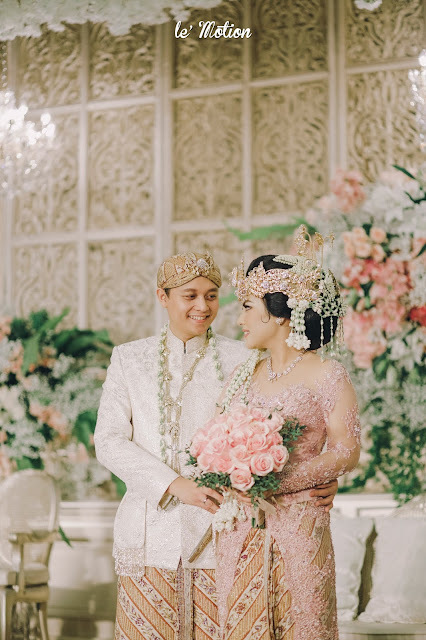 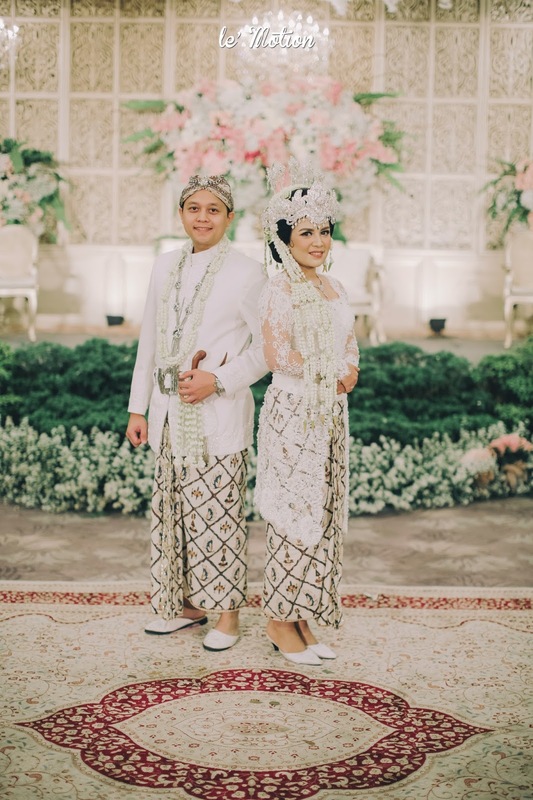 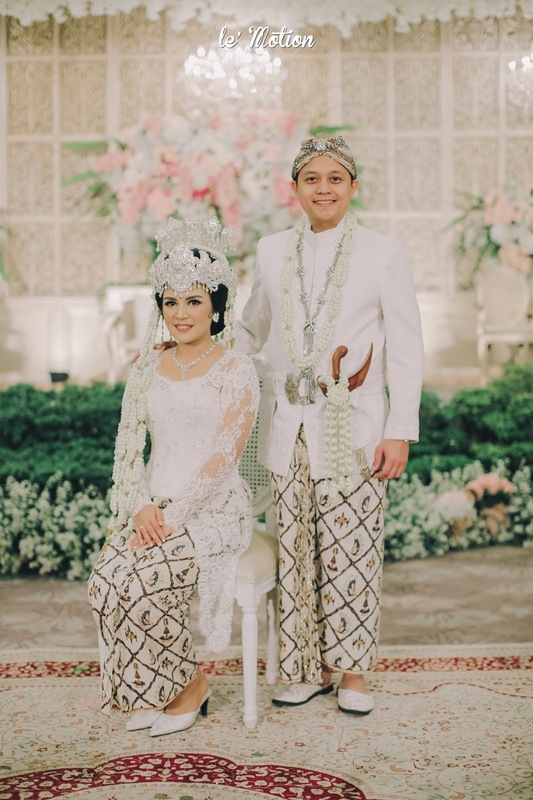 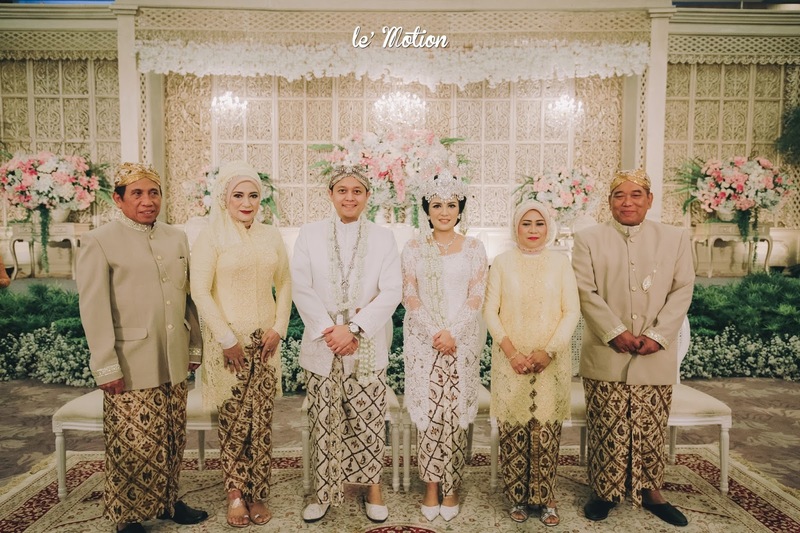 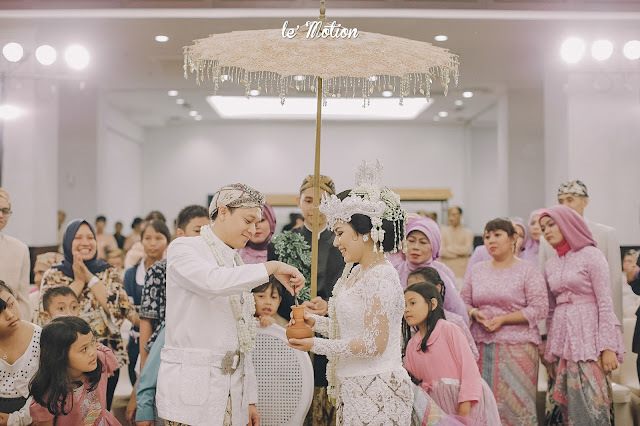 Ila was wrapped in a peachy pink Kebaya while Dieles was in his pearl white Javanese Beskap, paired with matching Batik as their bottoms. No one looked quite as happy as Ila & Dieles and all the guests enjoyed the atmosphere that the evening had. 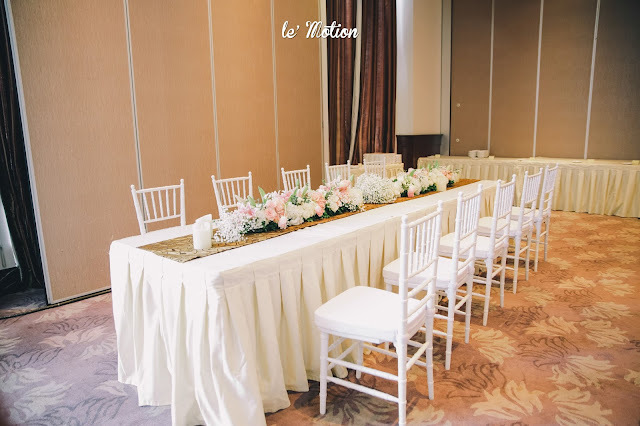 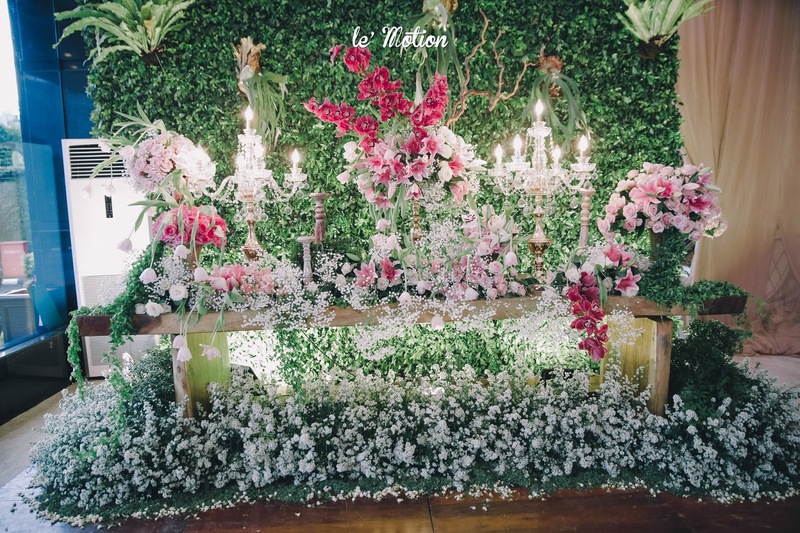 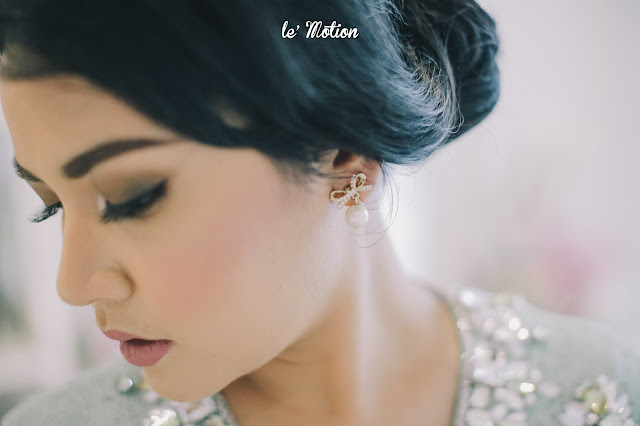 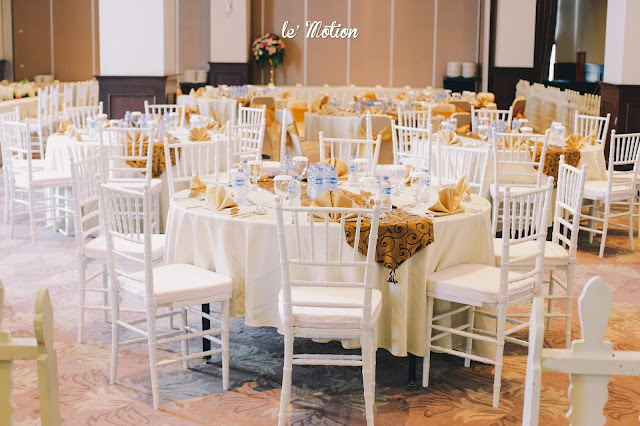 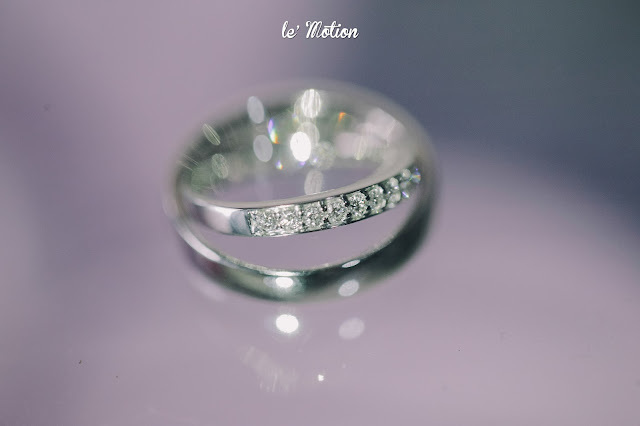 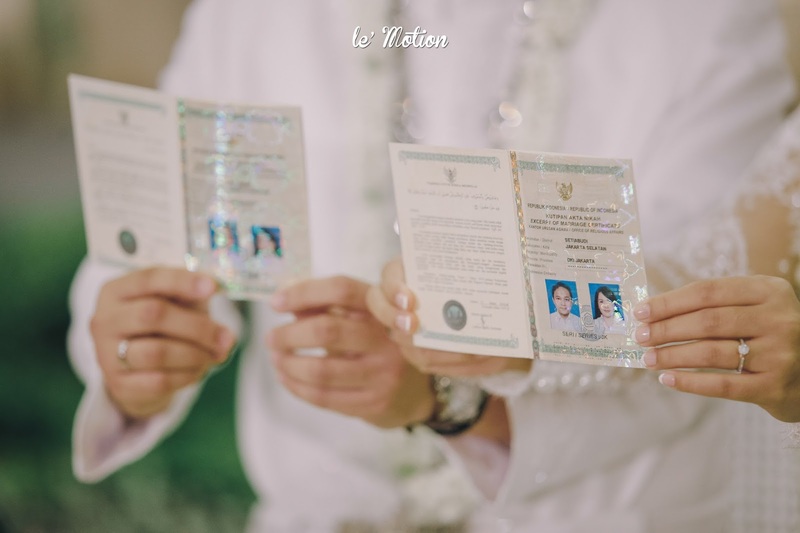 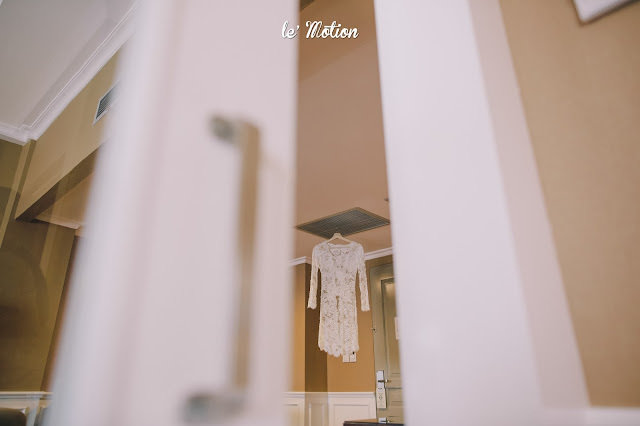 Le' Motion would like to once again congratulate Sabila & Dieles on your happy day!